Have you ever opened your credit card statement and wanted to kick yourself over all the money you spent? Chances are, like millions of people around the world, your spending habits are the cause. Why did I spend all that money? 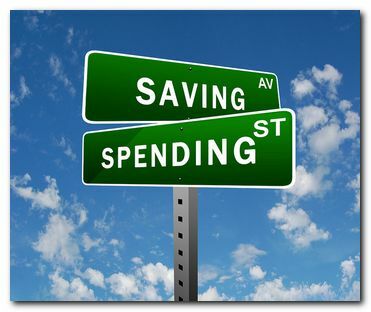 Most of us have uttered these words at some point during our financial lives, and with the vast amount of debt in the world today the question of bad spending habits has become a hot topic. Many of our spending habits start in our childhood years, and if you’re concerned about your financial situation it’s worth thinking back to year early life for some clues about how you outlay money. Let’s start there. Without going into too much psychology, there’s something you may have noticed about people – many of us either take after our parents or rebel against them. This tendency to fit in or break the mould can have a serious impact on our financial lives. To understand this better, let’s take an example of a real-life Northwood client – we’ll call him Andrew. As a child, Andrew grew up in a home where money was tightly guarded. His father earned a good salary but scrimped and saved to ensure a comfortable retirement for himself and his wife. Andrew often had to go without things that other children took for granted – like the latest toys or trips to the movies on weekends – because of his father’s miserly ways. Although the family was financially secure, Andrew began to resent his father’s approach to money. Years later, Andrew has a good job and a wife who works, as well as two young children – and yet there’s never much money left at the end of the month. A closer look at his finances reveals that Andrew is spending almost every cent he earns – and his credit card limit is close to being maxed out too. When we asked Andrew about his spending habits during our planning session, he revealed that his financial situation stems from the fact that he can’t say no to himself or his family – because he vowed never to be like his father. Part of our approach to solving Andrew’s financial problems was to help him understand that sometimes he just has to say no. The link between money and love – which has become too strong in our modern society – made Andrew think that denying his loved ones (or himself) what they wanted made him less of a husband and father, but over time he came to realise that his spending habits were doing more harm than good. By budgeting correctly and putting money away each month, Andrew was able to pay off his debts and began to save. Eventually he had an emergency savings account and an investment portfolio as well as his company pension fund and was on the way to securing his family’s financial future – so that he would never have to deny them anything really important later on. If Andrew’s story has inspired you to take another look at your own spending habits and develop good ones, contact Northwood today. Our team is ready to support you at every step.